Creating a bootable USB device. Below are the steps to enter BIOS. 1. Turn on your Computer and press F2 or F10 Keys (Depending on the machine some have delete key which is shown on first screen). 2. When you get Bios Menu, go to Boot Order setting and set first boot device which ever you prefer. Case 1: If you prefer to boot from CD then select first boot device to CD/DVD in Boot Menu order. Case 2: If you prefer to boot from USB then select first boot device to USB in Boot Menu order. Now save setting by pressing F10 key.Select Save and Exit. Now when you insert your CD or USB if your Boot Device contain Bootable OS Image then your system will prompt you for pressing any when system is starting. There you go your Installation starts. USB device detects but doesn’t show up in My Computer. This post is regarding newly plugged in USB devices to PC. 1. Right Click on “My Computer”, select Manage. Double click on Storage–>Double click on “Disk Management”, it will show you a screen with attached Hard Disk or any Storage devices connected to the system. There you can see your Removable Device(If detected by System). But the status will be unallocated as shown below. 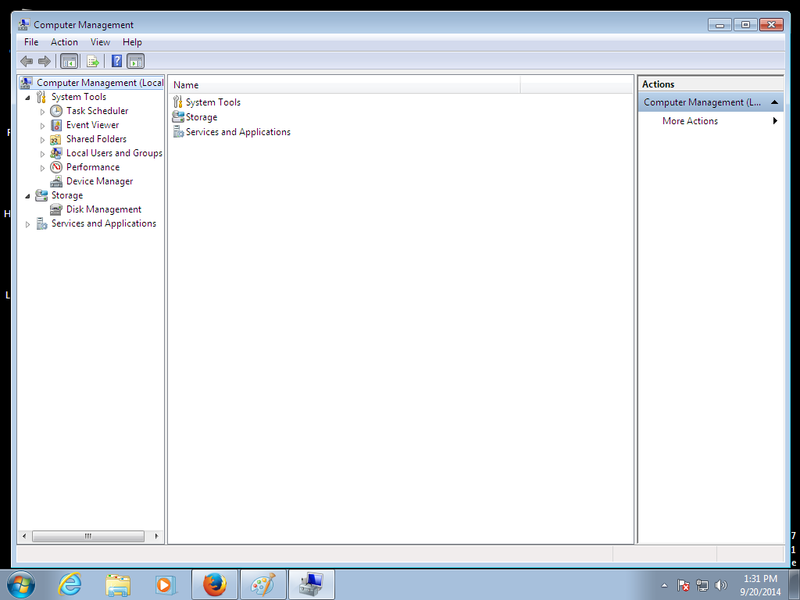 Right click on Unallocated Disk(which is your external drive) and selct change drive letter and Path. Set any drive letter and click . There you go.You’ll now be able to see your drive in “my computer” still if you face any issue please do write me or comment to this post. Hope You liked this post. This is regarding action to be perform when you close lid of your laptop. Generally when you close your laptop lid it goes into sleep mode.But at times you may want to set custom action. Here is the procedure to do that. 1. Go to control panel -» hardware and sound –»power option –»edit plan setting . Go to power buttons and lid –»»lid close action. Here you change what action it should perform.